My wife, Rebekah, is an amazing wedding photographer who didn’t have a brand to fit her personality or special focus on weddings, so she officially tasked Craft+Story with helping her create a new identity and matching website. Rebekah has been doing wedding photography for over ten years, and she’s gotten really, really good. She started out better than average, and over a decade of professional photography has made her really amazing and pretty successful. She started out as Images by Rebekah because it was the best name we could think of at the time, and her websites have always been built by me in a spare weekend or during vacation. The name and sites weren’t bad, but they did nothing to prepare people for the awesomeness they could be expecting. Images by Rebekah had started as a catch-all for wedding, portrait, family, and event photography, but over the years Rebekah had shifted her focus to weddings exclusively and she needed a more engaging identity to attract the right kind of clients who loved her unique look and didn’t see wedding photography as a commodity to be measured solely on price. She had great images and a fun personality that won her work consistently at client meetings, but the brand and website weren’t drawing enough excited couples in the door. Everybody who knows Rebekah will say that she’s full of personality, but the original name, Images by Rebekah, was very — utilitarian. While I was putting together moodboards and branding ideas, we started doing brainstorming and little exercises to come up with a new name. After a couple of weeks, there was no clear winner until she walked into my office and wrote “Hello ____” on the big whiteboard; I finished the thought as “Hello Beautiful,” and the name stuck. It gives a sort of brand promise (you’ll look awesome), is fun to say, and fits her perfectly (I could hear her say those words as I wrote them). Before we got any further, she started telling future brides about the upcoming name and they got more excited. Once we had a name, making the branding to match it was easy. We just wanted fun, playful, and beautiful. We drew a lot from things that Rebekah loved and the brands and designers that already appealed to her brides. Images by Rebekah had played it safe, but Hello Beautiful Photography was going to stand out to attract just the right kind of brides who would love to work with Rebekah. I developed a system of type, color, and graphic elements that we would use on the website, Facebook, print materials, and even the packages she sends after a wedding. Part of not being “safe” anymore also meant having an opinionated brand. So, not only are things attractive, they’re attractive to the kind of clients that Rebekah wanted more of. 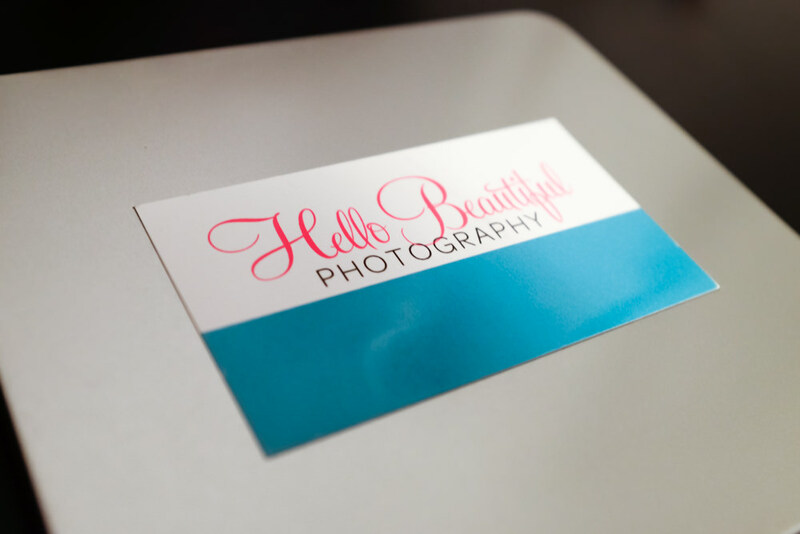 We put together some brief ideas of what made Hello Beautiful unique (focus on weddings, complete timelines for the pictures, and no hourly rates) and made sure they got a place on the home page. 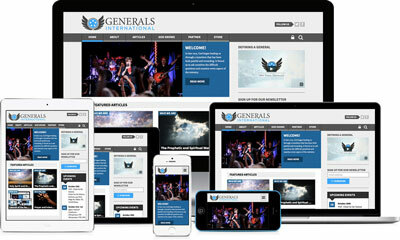 Rebekah’s old websites were never mobile-friendly, and they really didn’t have any content besides the gallery. 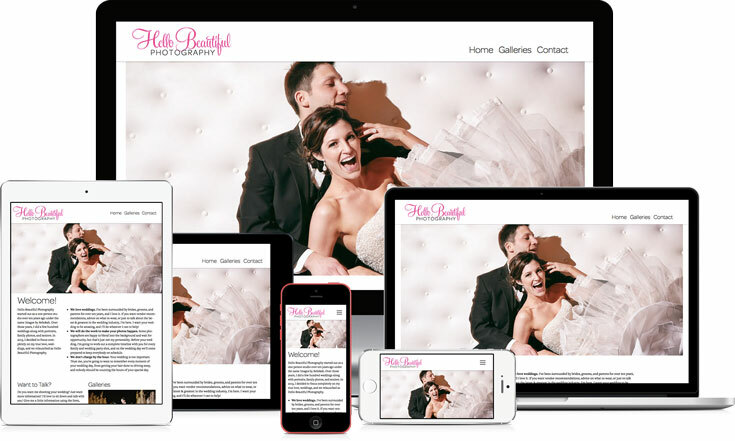 We wanted to plan for the day that she had more content because there’s more to hiring a photographer than just seeing images alone (loving your photographer makes a stressful day easier), and we wanted to make sure that mobile devices and tablets got a first-rate experience. I started from scratch on a design to highlight her images and developed a customized TYPO3 website with some nice features (like a static menu on desktops and fold-out menu on mobile) that would let Rebekah do all the of the updates without ever touching code. The gallery is the centerpiece of any photographer’s site for obvious reasons. Previously, Rebekah’s site had looked like every other photographer’s site, too, with big images scrolling one-by-one, Flash slideshows, and slow loading times on big pages. The first thing we did was scrap the slideshow for a responsive grid system that could show more of the “full story” she tells with her images from getting ready to leaving the reception. If you want to see anything in more detail (and you would), it pops up in a big, beautiful lightbox adapted for your screen size. The next thing we had to do was make sure that the page loaded fast on desktops and mobile devices (even with a hundred images or more). With some ties into the backend system and custom coding, we set “lazy loading” so that images were only loaded as needed and nothing was being wasted. Finally, I needed to make sure that Rebekah could update everything on her own so I set her galleries up with Koken in the backend. While TYPO3 is very good at a lot of things, Koken is great at only one thing: galleries. 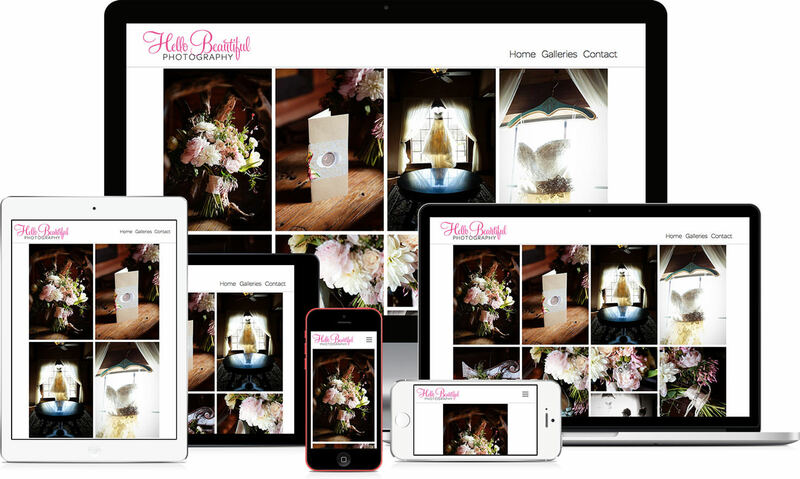 With some customizations, she was able to update everything in an intuitive backend and upload new images and galleries from her desktop or straight from Lightroom. Obviously, this all added up to no more Flash as well. All of the writing on the website sounds just like my wife (who loves exclamation points) and is geared towards brides and their moms (her main visitors), but it was written by a man who neither loves exclamation points or has ever been a bride. The goal, though, was to show her unique personality in every word associated with Hello Beautiful Photography. One of the questions I added to the form, “What part of your wedding are you most excited?”, had some initial resistance because it wasn’t entirely practical and Rebekah was afraid everybody would say “getting married.” I liked it, though, because I knew it’s one of the first questions Rebekah loves to ask and brides brides love answering. In the first day the website was live, we had multiple people filling out the form and they all gave fun, unique answers to the question filled with exclamation points, and excited brides is pretty much what she’s about. Yay! A great brand isn’t worth anything if it’s not consistent. As one of the final pieces of handing off the new brand, I created an interactive style guide inside the new site with all of the basic elements I knew Rebekah would need to reference (colors, icons, etc.). 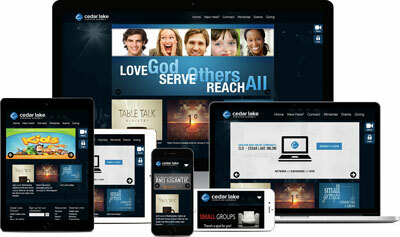 By building it within the site system, it means that she can copy and paste the elements directly to new pages as necessary (saving time and mistakes) and she can add new elements or update the guide as her brand evolves without tapping into another system (that would probably never get updated). 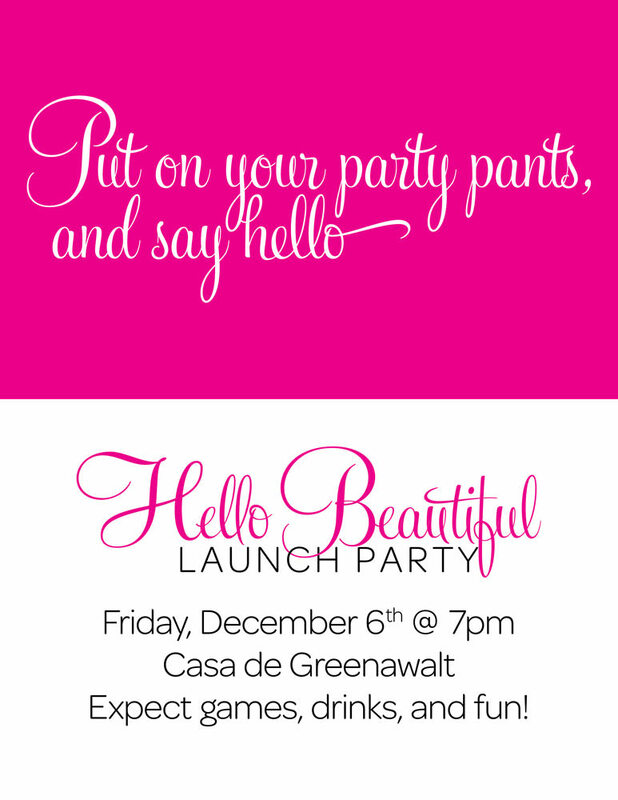 As one of the final pieces of launching the new brand, I created an invitation to her grand relaunch party. Even in this, we just wanted to reinforce the playful brand of Hello Beautiful, and I wanted to say something that sounded just like Rebekah. Since the launch, we’ve worked together to create some other print materials including magnets that can be used to label her metal DVD cases and decorate fridges! Cutting magnets can be imprecise, so we went out of the way to create a design that wouldn’t suffer if the bleed changed in any direction by a little bit. This could have been another favor for my wife (as it has been in the past), but instead this turned into a real client project. It was a little scary to start with a clean slate, but we got to create everything from the name to the logo and website together. Rebekah loves the new identity so much she proudly sports the new logo on her Hello Beautiful Photography hoodie when it gets chilly.